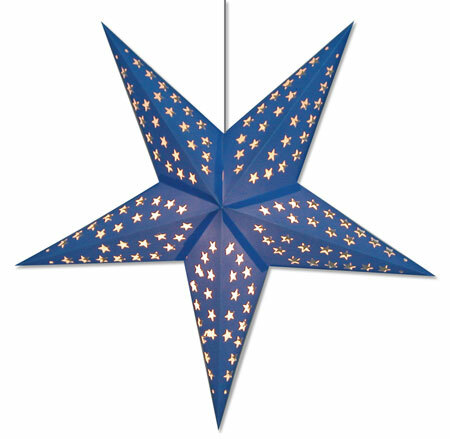 This great hanging paper star lantern is perfect in its simplicity. Great for weddings and parties where a little decoration is just enough. 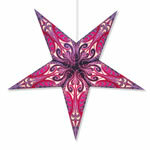 Paper star lamp includes simple assembly instructions. Measures about 24" from tip to tip. Shipped flat. 12' electric cord with on/off switch optional for $6 more. 40 watt lightbulb not included.